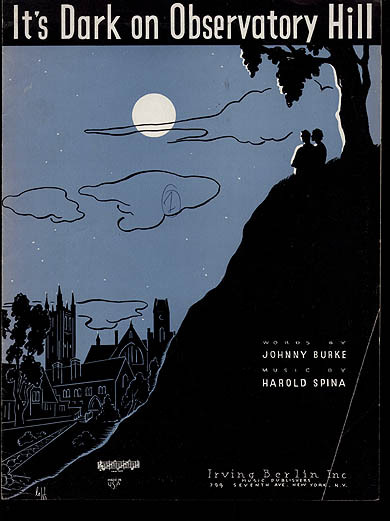 Image of sheet cover music from a Dorsey Brothers album about Observatory Hill//Photo courtesy of Jim Lattis, UW-Madison. The summit of Observatory Hill has a long standing reputation as a spot on campus where couples could find a bit of time alone, especially back in the days when society was a lot more controlling about who might spend time with whom. There was even a popular song about it recorded by the Dorsey Brothers in the early 1930s. As the site of Washburn Observatory, Observatory Hill was also devoted to the pursuit of science, and we need not look far to find a confluence of amorous and scientific pursuits on the hill. 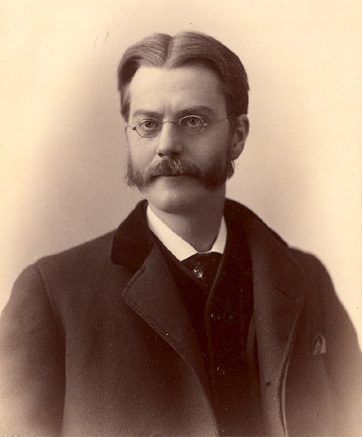 Washburn Observatory’s second director, Prof. Edward Holden, was a very open-minded man: In the early 1880s he trained a young woman as a student observing assistant, namely Alice M. Lamb, of Madison. Portrait of Edward Holden//Photo courtesy of Jim Lattis, UW-Madison. These computers were normally women, often college students, although in some observatories they were professional staff members. (This was the pattern, at least, in the U.S. In England, astronomical computers were more often men.) To find women working as observational astronomers was rather rare and generally occurred only at a women’s college. The famous comet discoverer Prof. Maria Mitchell, for example, was the Vassar College astronomer. 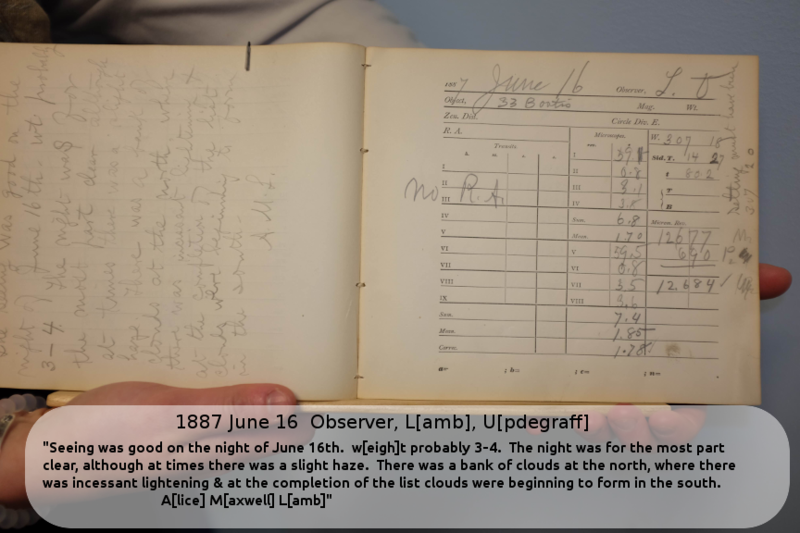 When Holden left Wisconsin for the new Lick Observatory in California, he left his observing program in the hands of Lamb and another student astronomer, Milton Updegraff, who had come to UW from Decorah, Iowa. The two spent many nights working together, with Milton observing and timing stellar transits in the meridian circle telescope while Alice took the simultaneous declination measurements from the instrument and recorded the observations. It was the foundation of a relationship that lasted the rest of their lives. Milton earned a B.S. in 1884 and a M.S. in 1886. Alice, who earned a B.L. (Bachelor of Letters) in 1884 and a M.L. in 1885, considered making a career in astronomy and was offered a job in 1886 as a mathematics and astronomy instructor in the Dakota Territory, but she decided on a different path. 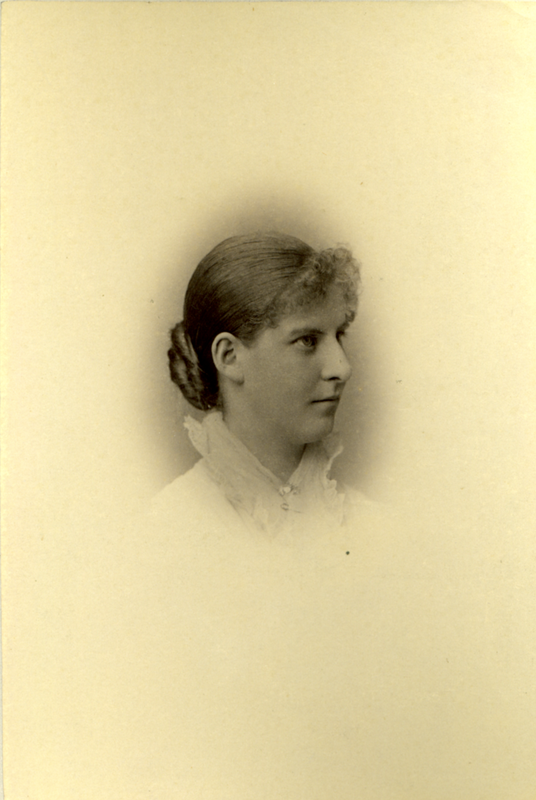 She and Updegraff married and left Madison in 1887 to pursue astronomy together. Milton found a job as an astronomer at the Argentine National Observatory in Còrdoba. Alice continued her observational work there, as attested by a short publication in the professional periodical Astronomische Nachrichtung in 1888. 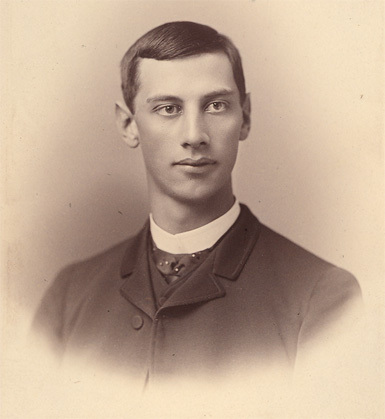 In 1890, they returned to the U.S. and Milton became a professor of astronomy at the University of Missouri, and in 1899, became an astronomer for the U. S. Navy. With the Navy, the family – which eventually included three daughters – traveled quite a bit, from Washington D.C. to American Samoa, and eventually to Arizona, where Milton died in 1938. Alice, who apparently never resumed her astronomical work after their return from Argentina, died in 1952, ending just one of the many lovely stories that have had their beginnings on Observatory Hill.